In a previous post we already let you know that there will be two new characters introduced in season 5 of Castle, namely the Vice-President of the United States and a Senator. Now the actor who is going to play the Senator is known. 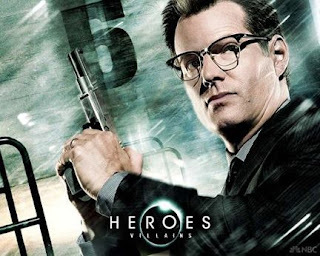 It is Heroes' alumni, HRG, Jack Coleman. Navigating the fallout from her tryst with Ricky C may be the least of Beckett’s problems this season on Castle. TVLine has learned exclusively that Heroes vet Jack Coleman is joining the show’s fifth season as a new antagonist for Stana Katic’s detective. Ironically, Coleman’s most recent role was also rooted in politics: For the past two seasons he recurred onThe Office as Angela’s state senator boyfriend Rob Lipton. What do you think about Jack Coleman joining the cast of Castle? And do you think he will be behind the murder of Beckett's mom?